The Floreana mockingbird (Mimus trifasciatus) is the rarest of the four endemic species of mockingbird in Galapagos. Historically, the species occurred on Floreana island but it disappeared due to large-scale habitat change and the introduction of non-native species in the early 1900s. Much of the Floreana landscape has changed dramatically in the past 100 years. The vegetation is sparser, and the introduction of domestic farm animals, cats and rats have had lasting effects on the island’s habitats. The current Floreana mockingbird population is estimated at around 350-500 individuals which are now found on two islets off the coast of Floreana, Champion and Gardner. Domestic mammals were never introduced to these islets, and thus their vegetation represents the last known refuge for the Floreana mockingbird. 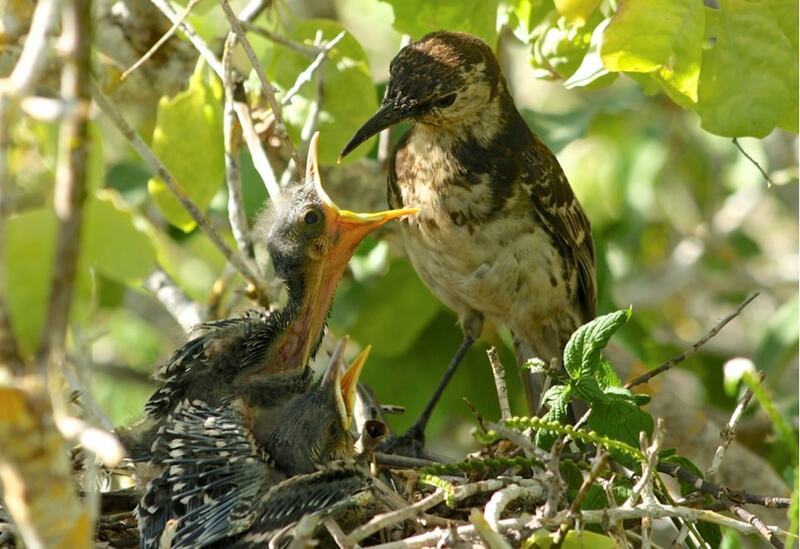 The aim of the Floreana mockingbird reintroduction project, which GCT supports, is to reintroduce the Floreana mockingbird to Floreana within the next 10 year, so that they can once again thrive on their namesake island. 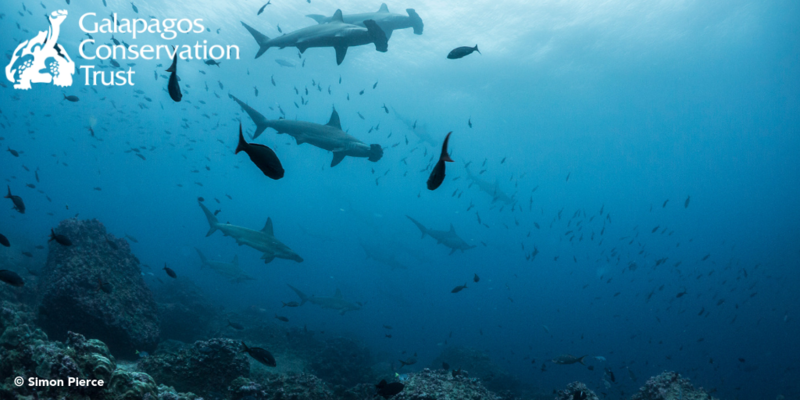 This project is a collaboration between the Directorate of the Galapagos National Park, Island Conservation and Massey University. Before the reintroduction can occur, it is important to first understand more about the habitat requirements and social behaviour of the birds. 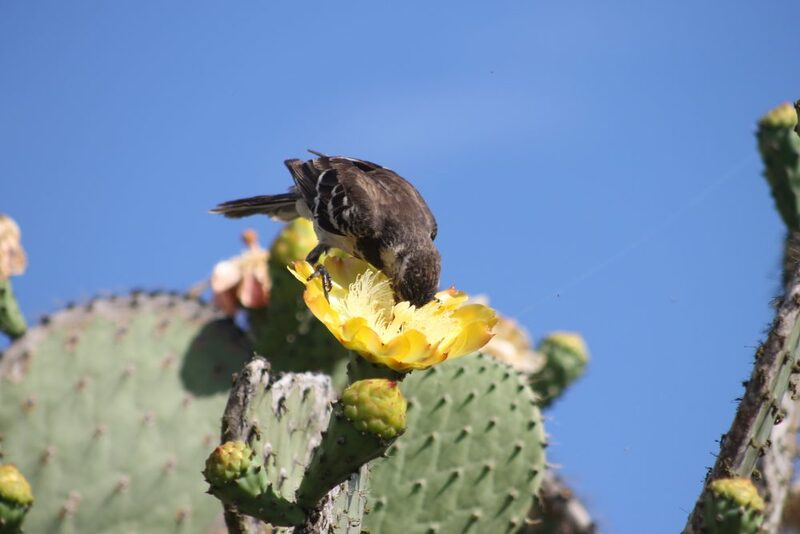 Between 2017 and 2018, the main focus for the project was to assess whether Floreana has suitable habitat for mockingbirds, based on patterns of habitat use by the species on the islets, and estimations of seed availability for later propagation. Rangers from the Galapagos National Park (GNP) and scientists from Massey University completed habitat surveys which involved estimating seed and fruit availability, and estimating numbers of prickly pear cacti and muyuyo on both Champion and Garden islets, both important food sources for the mockingbirds. The results indicate that seeds of key food species are plenty and can be harvested for propagation in a nursery. The resulting plants can then be planted at key restoration sites identified as suitable for Floreana mockingbirds to ensure adequate food supply. 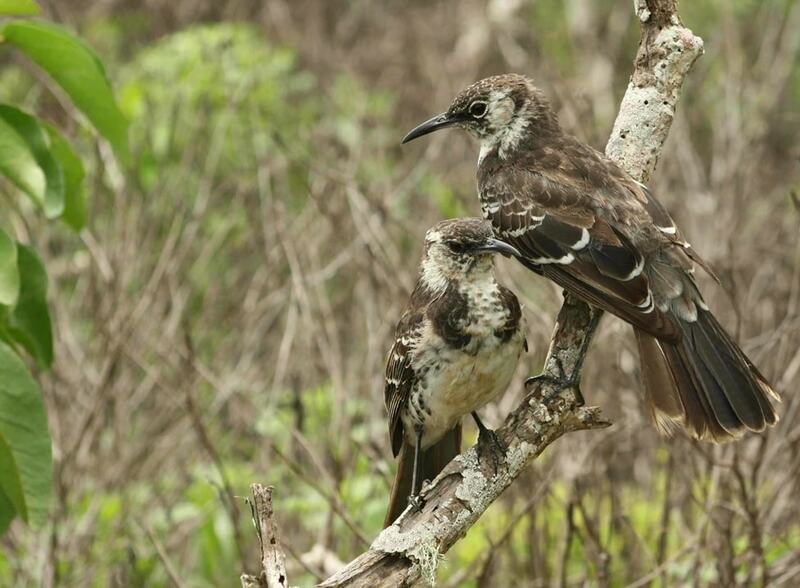 Another highlight of the project this year was an interesting behavioural between different family groups of the Floreana mockingbird: for example, there is a higher degree of interaction from separate family groups on Champion islet than previously thought. This is significant for their reintroduction onto Floreana, as it will help them interact with the population from Gardner, increasing the chance that the two populations form family groups. Additional observations will be completed during the winter months to find out if this behaviour is common all year round. This year, Ecuadorian PhD student Enzo Rodriguez Reyes started studying the Floreana mockingbird alongside project leader Luis Ortiz Catedral. His research will fill significant gaps in the knowledge about the social structure of Floreana mockingbird families and the role of dominant/subordinate individuals in reproductive success, all of which will contribute to the species conservation and reintroduction success. To find out more information about the conservation work in Floreana please visit our Restoring Floreana project page. If you would like to support the future work of GCT concerning the critically endangered Floreana Mockingbird, please head over to our projects page to donate or adopt a Floreana Mockingbird today. 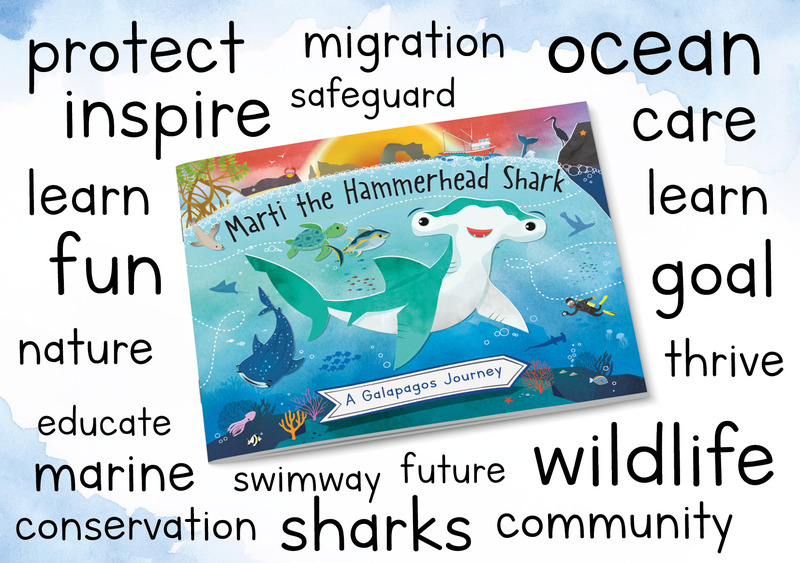 Donations and adoptions are essential in helping us preserve some of the most endangered species in the world. 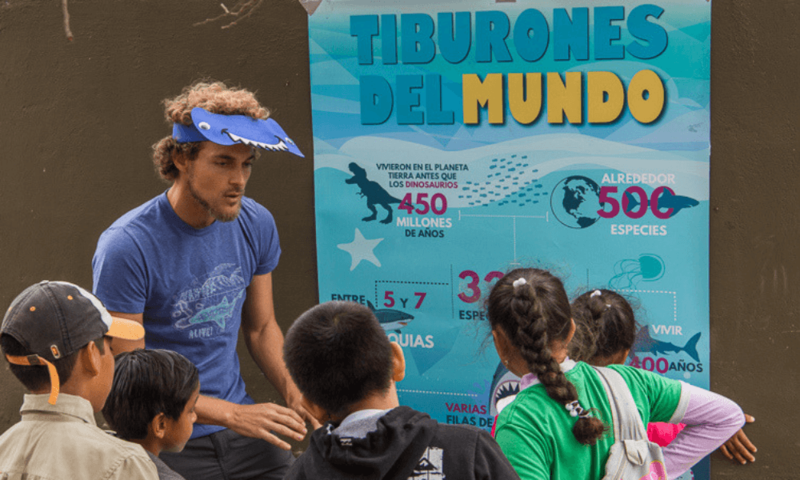 Galapagos Conservation Trust has been working with the Galapagos National Park (GNP), Massey University, Island Conservation and Durrell Wildlife Conservation Trust to restore the island of Floreana and reintroduce locally extinct species. This entry was posted in News, Projects and tagged Ecuador, Floreana, Floreana Mockingbird, Floreana Restoration Project, Galapagos, Mockingbird. Bookmark the permalink.